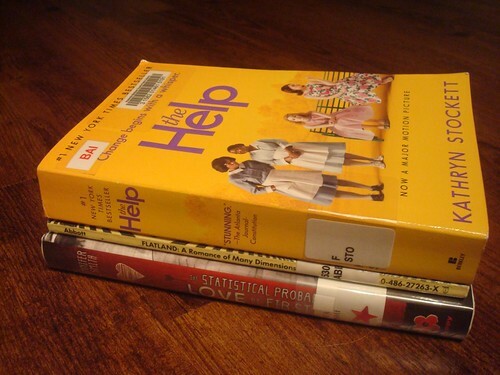 I picked these up on Wednesday and I've already finished both The Help and The Statistical Probability of Falling in Love at First Sight. I'm still wending my way though Woman. It's picking up a bit as she has starting getting more into the science. The prose can be a bit overbearing, but it's starting to be more compelling. I don't feel like reading much at the moment.